The Harvester, Starbucks and McDonalds along with other large food companies have signed up to the Coalition Government’s Responsibility Deal. One very visible outcome of the Deal is the listing of calories on the menu for the out of home food sold by these and other companies. 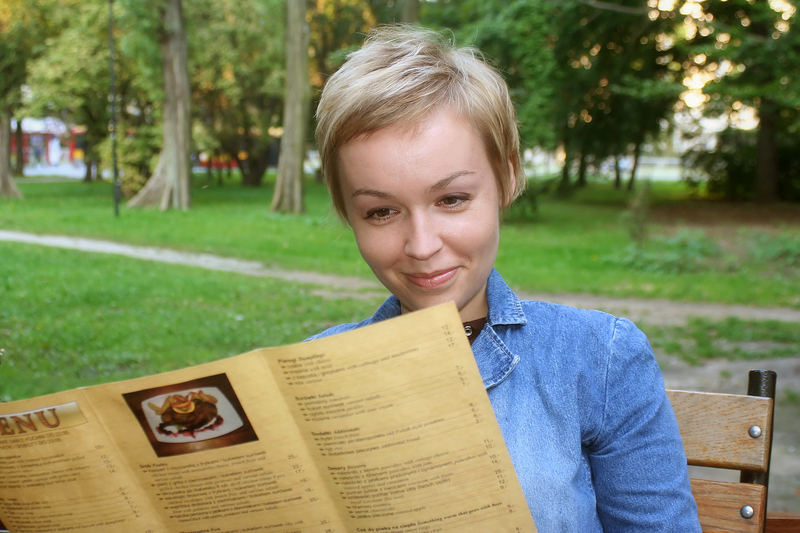 Whatever your feelings about having calories on the menu it is certainly one way of supporting people to make choices about what they are eating, and particularly to make choices when they are out of the home. Nutrition and Wellbeing have expertise in calculating calories, and nutrients. We are trusted to provide Big 8 nutrient calculations for major food producers such as Premier Foods. We are now sharing our expertise in calculating calories on the menu and maximising accuracy in a course entitled Calories on the Menu: Maximising Accuracy. new: regulations on front of pack labelling will change in later Summer 2013. The updated regulations will be taught on this course. We will be doing some nutritional analysis on the day and do assume that you can analyse recipes. We do also offer a course on recipe analysis:maximising accuracy. More information about Calories on the Menu are below. 5th September 2013: In Tuition House, 210 Borough High Street, London SE1 1JX. 12th September 2013: In Tuition House, 210 Borough High Street, London SE1 1JX. Cost per delegate : £195. To sign up please click the date you’d like to come along. 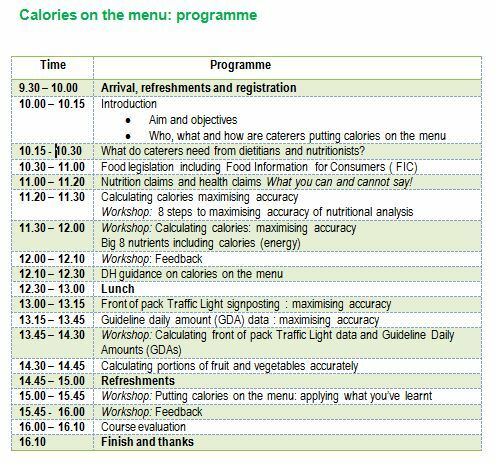 This event is designed to update and improve the knowledge and skills of dietitians and nutritionists in calculating calories and the Big 8 food label nutrients. In particular it is designed to provide a learning opportunity for dietitians and nutritionists to understand how they can minimise known errors in nutrition informaiton on food labels and therefore produce a legally acceptable analysis. Aim: To enable Dietitians and Nutritionists to to support caterers and food producers who declare calories (energy) on menus and who declare nutrients on food labels, by providing accurate calorie (energy) and nutrient calculation. Understand your professional responsibilities when undertaking nutrient analysis and providing a nutrient profile.